Canada’s largest community of sustainable food professionals, job seekers and volunteers. Work with sustainable farms, gardens, food businesses, restaurants, nonprofits, volunteering … local / organic / natural foods ..
We’re excited to announce that we will be hiring an Indigenous Community Organizer to support an indigenous-led poverty reduction project, which aims to build on and support existing work being done by indigenous communities. A project team of indigenous leaders has been established to determine the focus of the project, and will help support the new position of Indigenous Community Organizer. The successful candidate will join the BCPRC in a staff leadership role to coordinate this project, and we will provide a secure, year-long, living wage job with benefits within our close-knit team, as well as networking opportunities within our membership. This role is an entry-level position for a youth (29 years old and under) with lots of opportunity for growth, and BCPRC will provide mentorship and funded professional development support as needed. 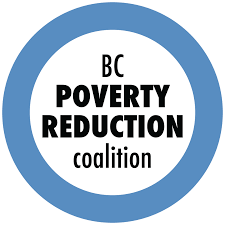 Send a cover letter and resume before Wednesday, May 1, 2019 (by 9am) to trish@bcpovertyreduction.ca. Click here to view the full job posting. The Renfrew Collingwood Food Security Institute is based out of Collingwood Neighbourhood House (CNH). With our many partner organizations and volunteers, we strive to promote intercultural learning and leadership around sustainable growing, local food, diverse food traditions, and healthy eating in the Renfrew-Collingwood neighbourhood. We believe that food is a human right, and that the “right to food” means much more than meeting basic nutritional requirements. We help bring neighbours together to find solutions to issues like hunger and isolation in our community. The Urban Garden Programmer is responsible for operations of our urban growing spaces and garden-based programming. This involves supporting community volunteers to grow and maintain gardens, providing educational support and content, and supporting the leadership and development of our participants. May 20th – September 21st at minimum*; weekly schedule is flexible. *Possibility of extension and/or expansion of hours, based on incoming funding. 100 monthly hours on average. The workload varies throughout the year with more hours expected between Mid-September and Mid-November, and between February and June. $20 to $25 depending on experience. May 15, 2019 – May 14, 2020 with a 3-month trial period. Annual renewal dependent on funding. SPEC is looking to hire a person in the role of School Gardens Program Coordinator. This position is in charge of running the School Gardens Program that currently delivers garden lessons in over 10 schools in Vancouver as well as consultations and advice to teachers and schools on starting or enhancing school gardens. The position also requires grant writing to ensure the financial sustainability of the program. Founded in 1969, The Society Promoting Environmental Conservation (SPEC) is a non-profit charitable organization that provides practical solutions for urban sustainability. Areas of work include local food security, zero waste, renewable energy and protection of local land and water resources. Visit the website at http://www.spec.bc.ca for more information on SPEC’s programs and initiatives. SPEC’s Food Committee runs a number of projects ranging from working in school gardens, teaching adults about urban agriculture and supporting farmers in adapting to climate change and supporting ecosystems services on farmland. The committee is formed by board members, staff and volunteers that meet monthly for general committee work and more frequently for project specific work. SPEC’s School Gardens Program improves education experiences for students K to grade 12 and professional growth for teachers by coordinating a hands-on food garden project on school grounds. Experienced facilitators assist schools in the implementation and maintenance of an organic vegetable garden while facilitating lessons both outdoors and in the classroom. These lessons teach primarily science, health and environment concepts while fostering student citizenship by connecting students to their community and beyond. The Program partners with outside organizations, businesses, other schools and community members to build and maintain their food gardens. – Intermediate gardening skills required – advanced organic gardening skills are preferable. We thank all applicants for their interest in this position, however only those shortlisted will be contacted. Young Agrarians BC is hiring a Land Matcher for the Central & Northern B.C. region! Are you a connector? An intuitive networker? That person in your friend group who always has the dirt on hot jobs and cool apartments? Do complete strangers tell you their life story at the drop of a hat? Did you once set up your friends from college, and now they’ve got kids and you gave a speech at their wedding and they send you a thank you card every year? Young Agrarians is on the hunt for a talented communicator and project manager who understands the agricultural landscape to provide land access “extension services” as the Central / North Land Matcher through the B.C Land Matching Program. This position will work to facilitate access to land for new farm businesses by screening farmland opportunities and farmers ready to start farm businesses, facilitating match making, and developing legal contracts between parties, as well as providing remote technical assistance for the development of leases, in the region. The BCLMP program focuses on relationship development and the creation of secure leases, ensuring that both parties have thought through risks and opportunities as best possible before beginning an arrangement. Compensation: $30/hour, 35 hours/week. Contractor must have their own computer, phone and vehicle. Work km’ will be reimbursed at provincial rates .58 cents/km. This is a remote position, and the applicant must be based in Central/Northern B.C. Please send a resume and cover letter c/o Darcy Smith to: land@youngagrarians.org by 5pm Monday, April 15th, 2019. Please include “Land Matcher” and your full name in the email subject line. Email a single attachment with a one page cover letter and resume sent as one PDF document, with your first and last name as the file name. Application Deadline: Monday, April 15th, 2019 – Applications accepted on a rolling basis. The North Shore Neighbourhood House is a not-for-profit registered charity serving the North Shore community since 1939. We believe working together to meet the grassroots needs of our neighbours, especially our most vulnerable residents is essential to building a safe, healthy and strong community. The House values and promotes cooperation, respect and empowerment through the provision of programs and services designed to meet the needs of individuals and the community as a whole. The Edible Garden Project (EGP) is a program of North Shore Neighbourhood House. The EGP is actively increasing land used for food production, building knowledge and skills around food gardening and working with municipalities to increase opportunities for urban agriculture. The Market Coordinator will coordinate and manage the twice-weekly farm gate sales, and will work to build the capacity of our markets to foster community and increase awareness of local, sustainable agriculture. The Market Coordinator will work closely with the Program Manager to fulfil these goals and will also work with the Farm Coordinator to support the ongoing growing responsibilities at the two farm sites. Marketing our produce to the public is an important part of the Edible Garden Project. The Market Coordinator will harvest produce two days per week (Tuesdays and Fridays) and will work with the Farm Coordinator to ensure that produce is processed to a standard that is fit for the market stand. Produce sales happen twice per week (Wednesdays from 2pm-4pm and Saturdays from 10am-2pm), with Saturdays being a Community Market that is part of the British Columbia Association of Farmers Markets (BCAFM). The Market Coordinator will be responsible for managing both weekly market sales, including set-up, take-down, counting deposits, and liaising with community vendors. 11 month contract starting May 1st. First Nations Food Systems started in 2009 as part of a larger Province of BC‐funded project, administered by the Heart & Stroke Foundation. Four years ago, First Nations Health Authority (FNHA) took over funding of the Project. Since that time, the FNFS has grown from 17 to 74 BC First Nations communities, driven by community demand to improve access to fresh vegetables and fruit and, through that, improved food security. With now FNHA playing a greater role in the partnership, the FNFS now seeks to expand its scope beyond the production of fresh fruit and vegetables to ensure the work is completed through an Indigenous lens, including traditional foods and building community‐level connections and exchange between the FNFS community projects and other community programs and activities, such as cultural, language, mental and physical health, and education programs. Increasing engagement of community members in FNFS and other food‐related activities participating communities, as requested by community coordinators and the Field Technical Team. Promote and facilitate inter‐community networking and knowledge exchange on Indigenous food and health‐related issues, resources, challenges, and opportunities.  Work with the Technical Team Manager and the Field Technical Team, as well at theFNFS Project Coordinator, to be introduced to, learn about, and build relationshipswith the communities.  Meet with the Field Technical Team regularly to discuss overall project logistics, challenges, and opportunities.  Work with community Project Coordinators, Community Contacts, and Field Technicians to identify key issues, challenges, and opportunities that can be addressed through strategic approaches to community engagement.  Work with communities to promote inter‐community networking around knowledge‐exchange. This will include working with the project team to organize regional and sub‐regional gatherings as possible.  Working with the coordinators of local gardening projects and/or contacts in local administration to identify opportunities for engagement within each community, develop engagement plans, and implement those plans. These may include increasing or enhancing engagement of traditional knowledge keepers, inclusion of traditional foods in FNFS community plans, ensuring cultural protocols are followed, and promoting involvement with other community programs or groups.  Organize regional and sub‐regional gatherings and workshops.  Work with community partners to develop and implement community engagement plans in selected communities.  Work with communities to identify and implement opportunities for networking, collaboration, and knowledge‐sharing on food and health.  Organize multi‐community workshops and knowledge‐sharing events including regional and sub‐regional gatherings as necessary.  Ongoing liaison with FNHA regional teams to identify ways to link them with FNFS.  Work with communities to identify points of convergence within each community between FNFS and other programs and activities, including traditional knowledge‐ keepers and food‐related activities.  Produce monthly reports on the progress of community engagement activities.  Extensive knowledge of and in‐depth experience with First Nations way of life, culture, and history.  Minimum three years of experience working in community engagement with First Nations communities.  Minimum five years of experience in community‐based food security, food sovereignty and gardening/agricultural work.  Demonstrated experience in project/program management and budget planning. 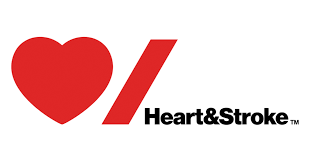  A valid British Columbia Driver’s License – this position requires travel across BC.As an employer, Heart & Stroke is committed to respecting diversity within our workforce. As this is a project that works with First Nations, we ask that all prospective First Nations and Aboriginal proponents self‐identify and preference may be given to qualified First Nations and Aboriginal applicants.For more information or to submit an application or proposal to contract, please contact Jeff Sommers at jeff.sommers@heartandstroke.ca. The BCAFM is seeking a friendly, detail-oriented, highly organized individual who is able to work both independently and collaboratively. The FMNCP Regional Coordinator will report directly to the FMNCP Program Manager. Each FMNCP Regional Coordinator will create a work plan and strategy, in collaboration with BCAFM FMNCP staff, which is uniquely tailored to the participating farmers’ markets and community partners in their region, as well as developing a community of practice. The FMNCP Regional Coordinator positions are new and will adapt and evolve to meet the needs of the program. Outlined below are the anticipated support activities to be provided by the FMNCP Regional Coordinators. Identify areas where farmers’ markets and community partners need support in order to make the program more successful. Work with partners to create content and strategies to successfully promote the FMNCP, farmers’ markets and community partners through social media and traditional media. Support farmers’ markets to be more accessible to FMCNP participants. 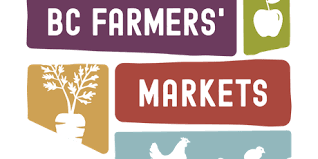 Support farmers’ markets and partners in their local and regional fundraising initiatives for the FMNCP, through the development of tools, mentoring and sharing resources. • Participate in FMCNP meetings, providing updates on the region and seek additional tools and information to share in the region. Able to work independently and from a home office, connecting remotely with the BCAFM head office in Vancouver as needed. Strong understanding of the FMNCP program operations, as well as farmers’ markets and community partners. BCAFM values inclusion and diversity. We welcome applicants from diverse backgrounds and lived experience to apply. Please include ‘FMNCP Regional Coordinator’ in the email subject line. The BC Health Coalition (www.bchealthcoalition.ca) is a provincial network of organizations and individuals that champion the protection and expansion of Canada’s universal public health care system. Founded in 1994 as a consensus-based non-partisan organization, we work to build diverse support and engagement in our campaigns through outreach, education and action. THE SHARING FARM SOCIETY, RICHMOND B.C. We are looking for a Community Well-being Specialist to join our innovative and interdisciplinary team at BC Healthy Communities Society (BCHC). As part of our team, you will be working in a highly collaborative learning environment to design and deliver a wide range of healthy community programs and fee for service offerings to communities across BC. programs, resources and fee for service offerings to support communities, local governments and multi-sectoral groups to collaborate around a shared vision for a common purpose. Opportunities for professional development to improve your existing knowledge and passion for healthy communities; and Health and a range of other benefits. assessed in a fair and equitable manner. 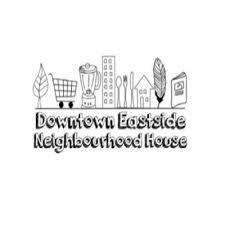 The Downtown Eastside Neighbourhood House is looking for a dynamic individual to manage our day to day operations and lead several programs to cover an eight month maternity leave. The successful candidate will be passionate about our Right to Food philosophy, work from a strengths-based perspective, and effectively bring people together from different corners of the community. This a great opportunity for someone that wants to combine their creativity with strong organizational skills and an interest in community development work. We pride ourselves in providing a safe, welcoming, and inclusive space where our neighbours can come and learn, share their gifts, and be accepted for who they are. Maintaining an orderly, organized programming space ensuring that the recycling, organics and waste are well maintained and prepared for pick-ups, ordering and shopping for program supplies etc. Provide statistics on designated kitchen programs, meals served, staffing, volunteer hours, etc. Here are the requirements/skills/experience/aptitudes that the ideal candidate will posses. However, we will consider other relevant training, experience and factors on a case-by-case basis. 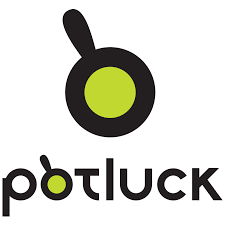 After 17 years in its current location on the ground floor of the Portland Hotel, Potluck has outgrown the capacity of its existing space, and is looking to re-locate by spring 2020, in order to provide the opportunity for our programs, services, and catering business to grow. We are seeking a driven, innovative and experienced Executive Director to provide strong leadership to our team of over 30 staff, and to drive the organization’s search for a new home. The ideal candidate has a strong background in fund development, has been involved in a facility move or business expansion, and feels passionate about inclusive employment. Knowledge of community, political and socioeconomic issues, especially those affecting the DTES and Indigenous peoples. Applications due: DEADLINE EXTENDED! Open until filled. If you love to be outside and to get away from the monotony of the computer, if you love sharing food with your community, or if you see the magic in sprouting seeds, this might be the position for you! 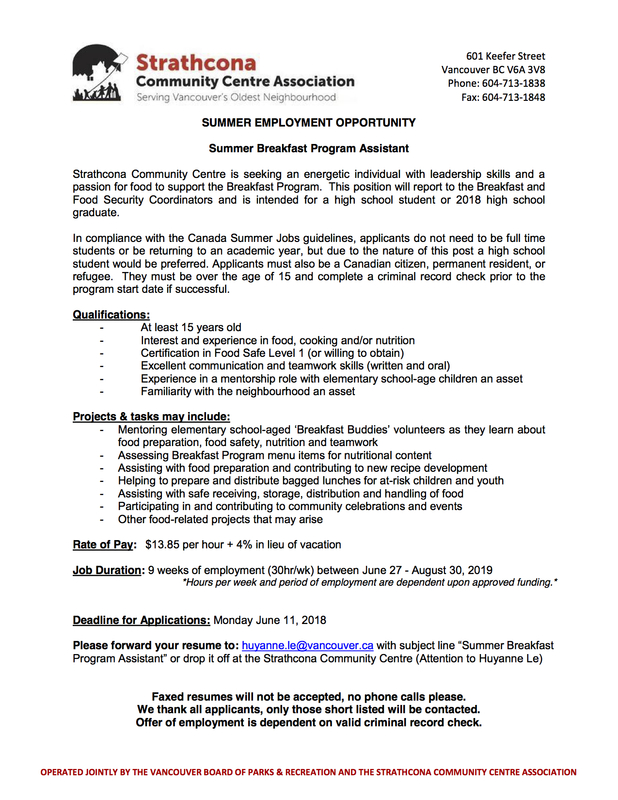 Position Dates: January through mid-May, continuing as Canada Summer Jobs staff mid-May-August. 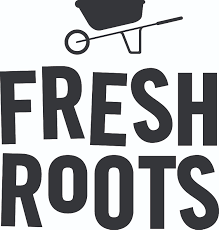 If you’re passionate about working with teens and cultivating personal growth and community leadership through farming, this could be the job for you! If you know of anyone who may be interested, please direct them to our website. Sole Food is looking for some great new people to join our team. Depending on skill level, there’s something for everyone! Feel free to distribute widely. Are you in love with farming but not the challenges of seasons or weather? Do you want to live where home prices are a tad more affordable than the bustling city of Vancouver? Do you love the Fraser Valley and all it has to offer: biking, boating, fishing, skiing, camping, great food and lots of open space? Giddy Up & Grow is a year-round operation located in an industrial warehouse in beautiful Mission, BC. We harvest and deliver crops twice weekly to several large grocery retailers and juice bars in a diesel powered, refrigerated Sprinter van. Our growing method uses vertical growing technology, ie racks and lights. Our growing method is organic, sustainable and reliable. Social Media Presence: Giddy Up has established and active networks on Facebook, Twitter and Instagram, as well as a website. Solid Customer Base: …and growing. Giddy Up & Grow is seeking a motivated person(s) and take over ownership of the business. Farming experience is not necessary as training will be provided. Or add this business to your current farming business and expand into year-round growing. The warehouse is great for starting seedlings and the refrigerated truck keeps your produce nice and cool. If you are interested please email us giddyupgrass@gmail.com telling us a little about yourself and why this opportunity appeals to you. Small organic veggie gardening business in Vancouver is looking for an on-call helper/ gardener (or a person with gardening experience), helping out on an hourly basis with the perspective for more work during the summer months. Building of raised beds, soil moving, seeding, planting, maintenance of vegetable gardens. $15-$20/h depending on experience. Driver’s licence is required. 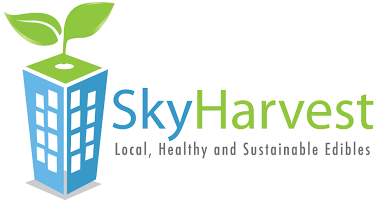 Sky Harvest is Canada’s first certified organic, urban farm. Our work transforms the urban landscape, improves access to healthy produce and provides a place of community, education and work for local residents. Our current focus is growing microgreens and delivering them by bicycle to Vancouver’s top chefs and grocery stores. We are looking for candidates with a strong sense of social and environmental responsibility, interested in joining our team of dedicated employees and volunteers whose unique talents shape Sky Harvest’s development. · The candidate must have their own bike and be very comfortable pulling a small delivery trailer as well. ·       1 Part or full time Contract position available (16-30 hours weekly for 6 months minimum with the hopes someone will stay with us for the long-term). Mandatory work days are Wednesdays & Fridays (both positions) with additional days available.